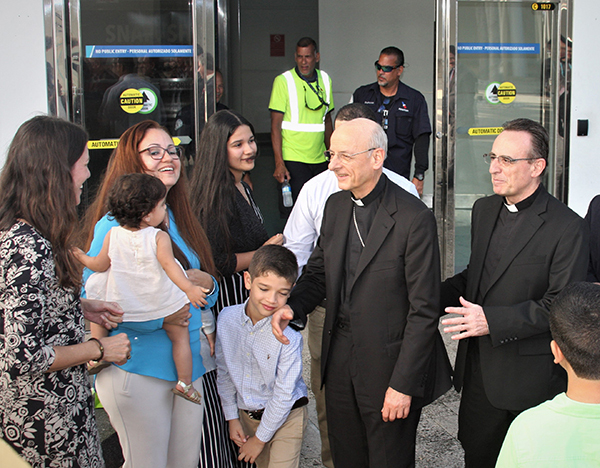 From 31 January to 3 February, Monsignor Fernando Ocáriz made a pastoral visit to the island of Puerto Rico, where he met with many faithful and friends of the Prelature. 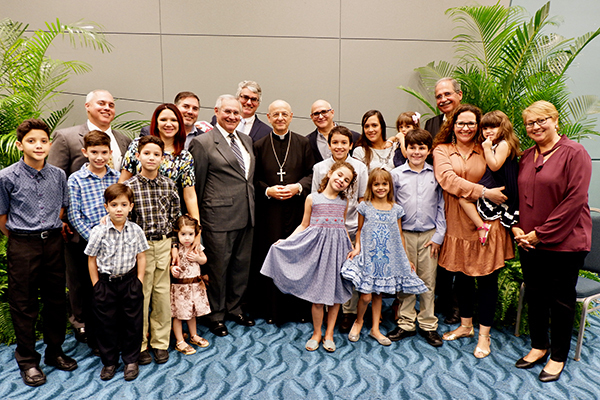 In his last day in Puerto Rico, the Prelate celebrated Mass in Monteclaro. In his homily he said that the source of our serenity is that we are close to Christ and we lean on his strength. Afterwards, he met with the benefactors and directive boards of the Monteclaro Hospitality School and the Sonsoles and Summit Academy schools. 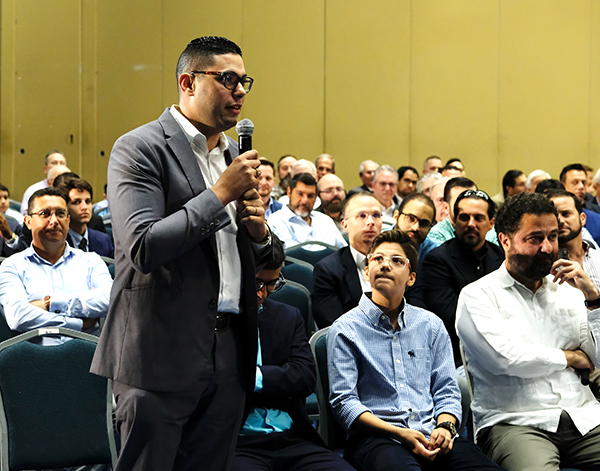 He thanked them for all their efforts, and then some of them recounted anecdotes about the struggle to recover from Hurricane Maria on the island. 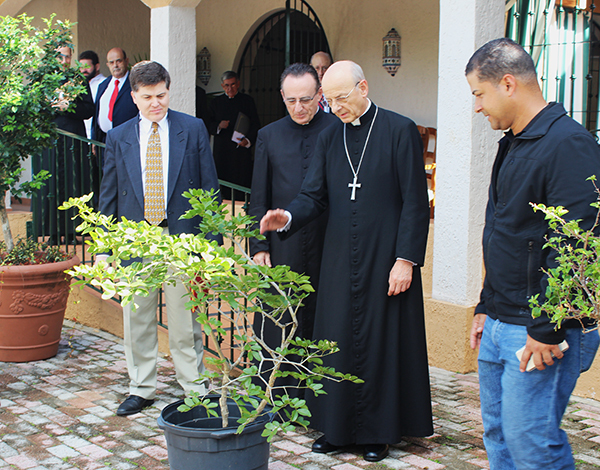 Before leaving, the Prelate blessed a Guayacan tree in the garden. This tree is native to the Antillas islands and is much appreciated for its tough and resistant wood. 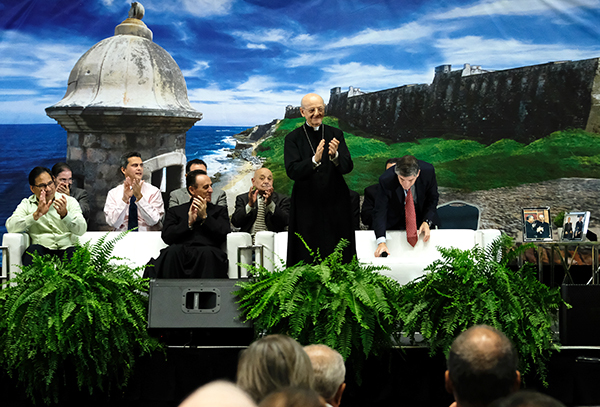 Monsignor Ocáriz said that this is what he hoped for from his daughters and sons in Puerto Rico. 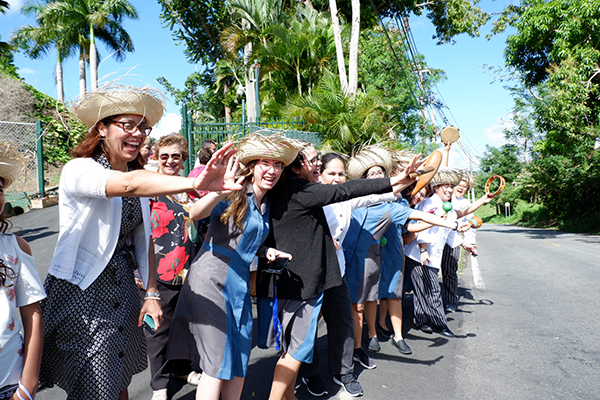 When imparting his blessing he said that “we are never separate from one another because Christ himself unites us.” As he left Paloblanco, he went past a group of teachers, students and families wearing straw hats and playing maracas. While waiting in the airport, he was able to spend time with a small group of people before getting on the plane. He expressed his great joy for the marvelous days he had spent there and said he would have liked to have been able to stay longer. 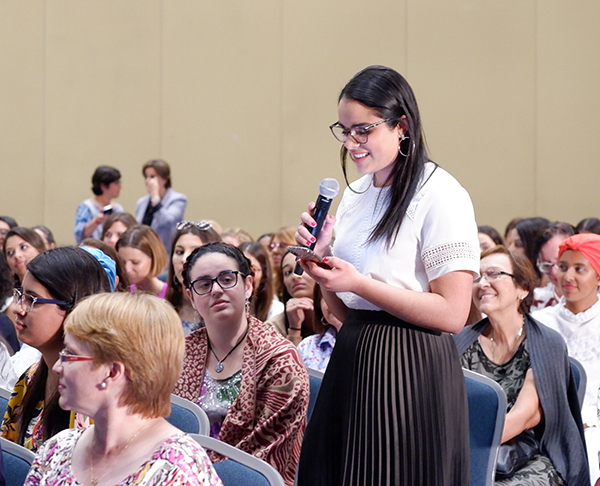 In his get-together with younger people, a girl told the Prelate that she had recently been in Panama for WYD. She asked for advice on how to assist the desires of the Pope. 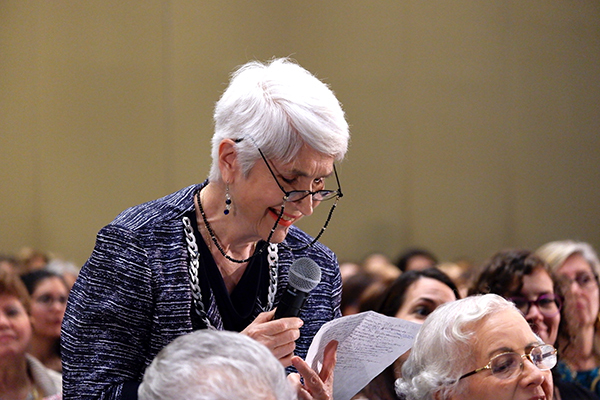 This was an opportunity to insist once again on the need to support the Pope with our prayer. The get-together was also marked by music and the signing of local songs. Everyone was having such a good time that they wanted the get-together to continue. 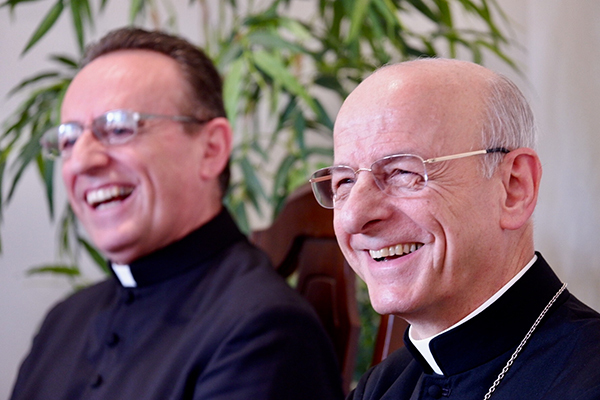 But the Prelate said they had to finish, and at the end he asked them to pray for the Pope, who has so much work and so many difficulties to confront. 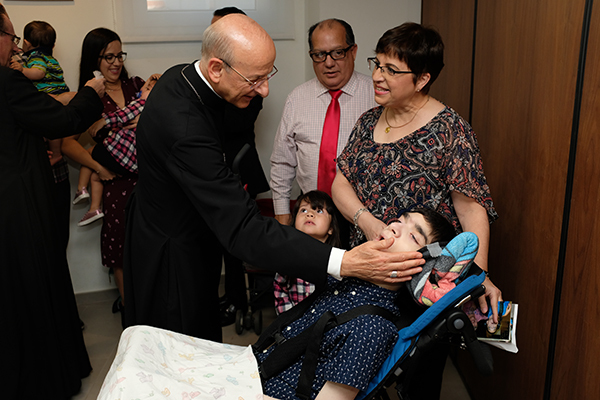 In the morning after Mass, Monsignor Ocáriz went to Puertorreal, a center in San Juan near the University, where human and spiritual formation is offered. There he had breakfast, and afterwards visited the kitchen to thank the people working there. He then spent some time with the young fellows living there, who told him some stories about their apostolic efforts with their friends at the University. Early in the afternoon, he had a joyful meeting with some 20 families. A large number of children were there with their parents, and he gave them some candy, and some rosaries for the adults. 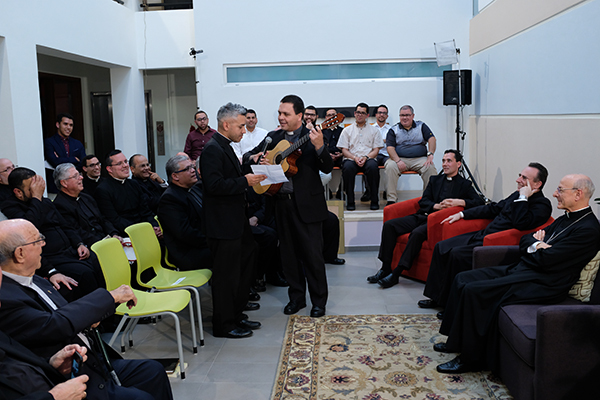 Afterwards, in Puertorreal, the Prelate met with priests and seminarians from various dioceses in the island. He reminded them of the need to imitate Christ in order to be able to bring Him to others. The get-together became very lively when one of the priests started singing a local song accompanied by guitars and maracas. 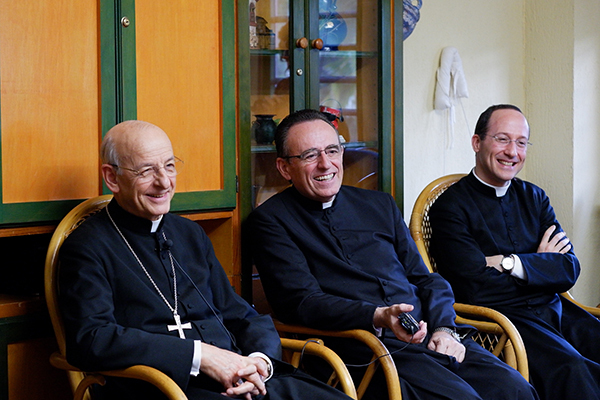 The Prelate ended by reminding them of the need to seek many vocations for the priesthood. They then made their way to Paloblanco conference center, about 45 minutes east of San Juan, where the Monteclaro Hospitality School is also located. He had his first get-together at the Monteclaro School, with young women who are studying and training there. Besides telling him some anecdotes, they sang songs for him and danced a local folk dance. 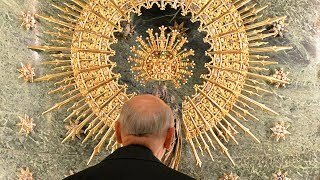 In the evening, he spent a special time of prayer in front of the Blessed Sacrament in the Paloblanco oratory.